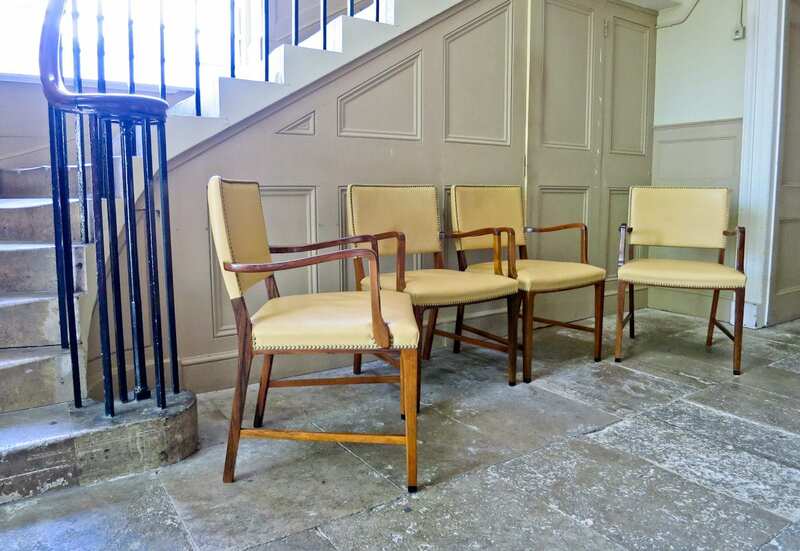 A really beautiful and rare set of four Danish armchairs, attributed to Jacob Kjær. 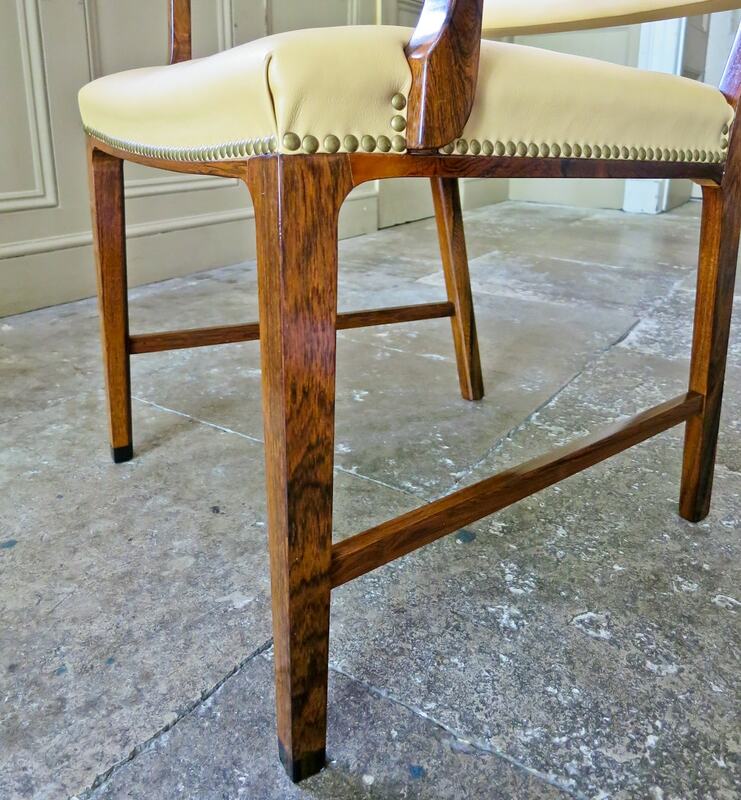 Beautiful rosewood with lovely patina and original light brown leather upholstery with brass stud detailing. 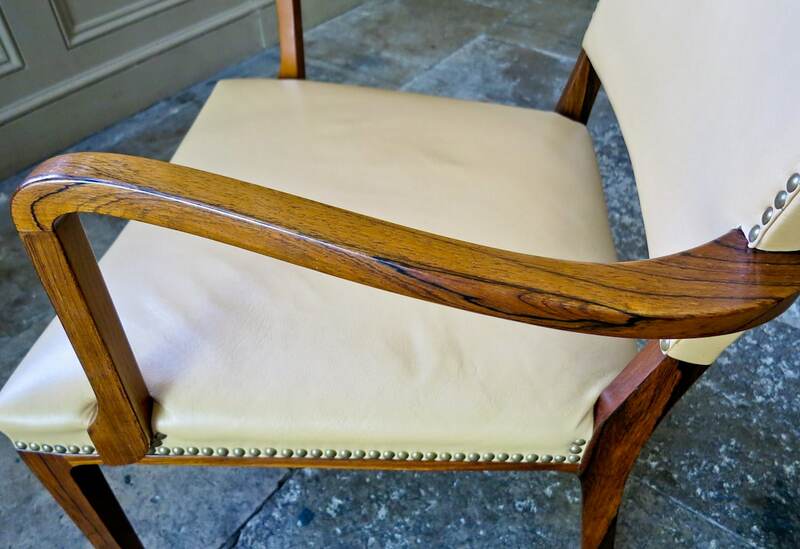 A very attractive set of armchairs, beautiful organic flowing lines to the arms and back, with lovely colour and patina to the rosewood. 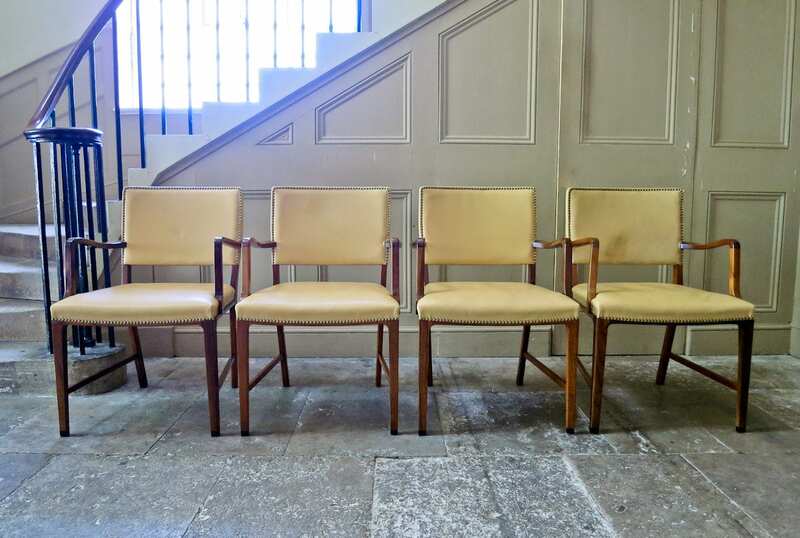 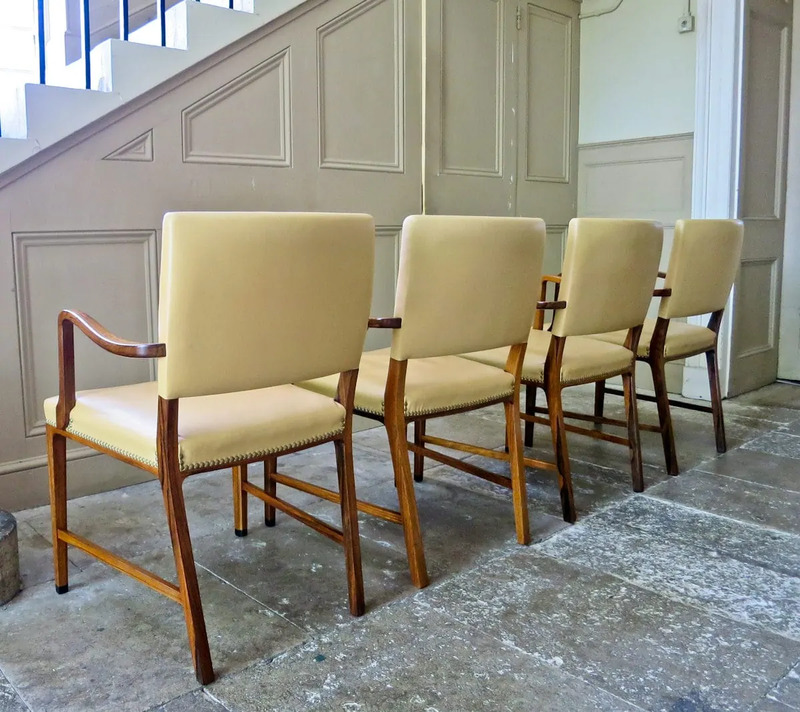 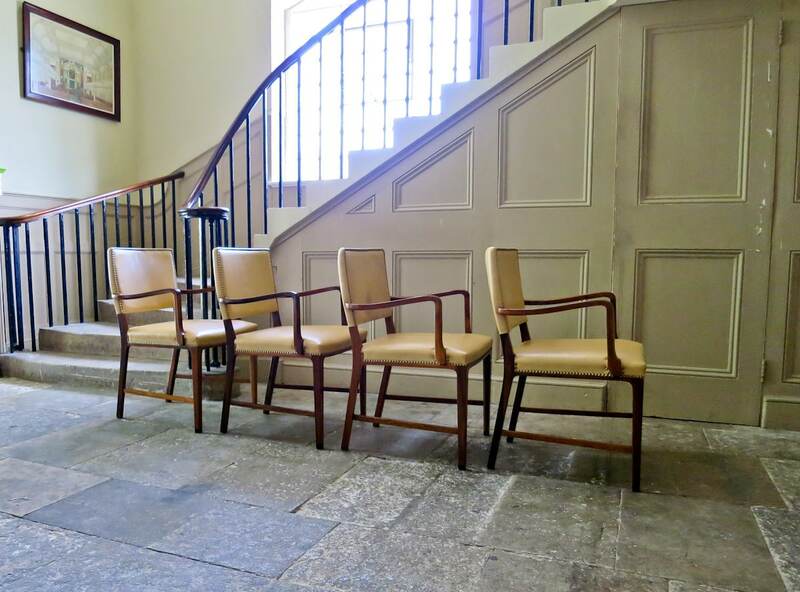 An elegant and sophisticated set that would look beautiful in any interior, all in an excellent original condition. 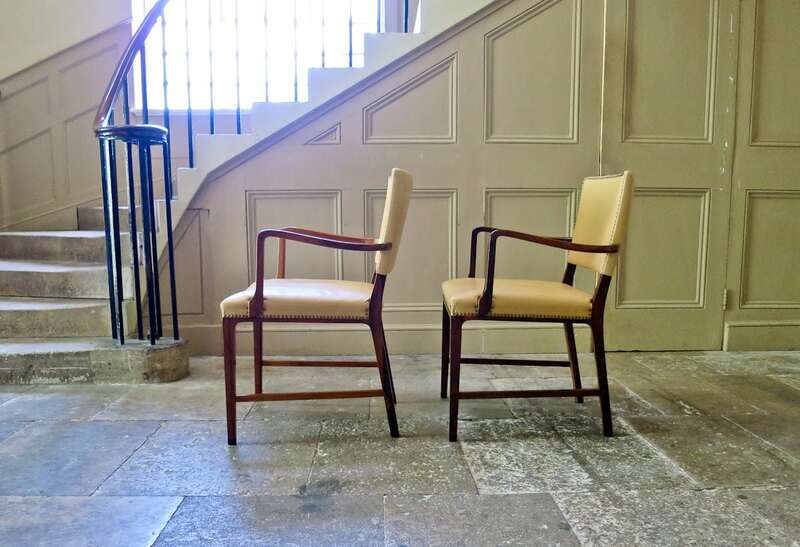 The craftsmanship and attention to detail in these armchairs is excellent with lovely turn and movement in the arms and capping of the front legs. 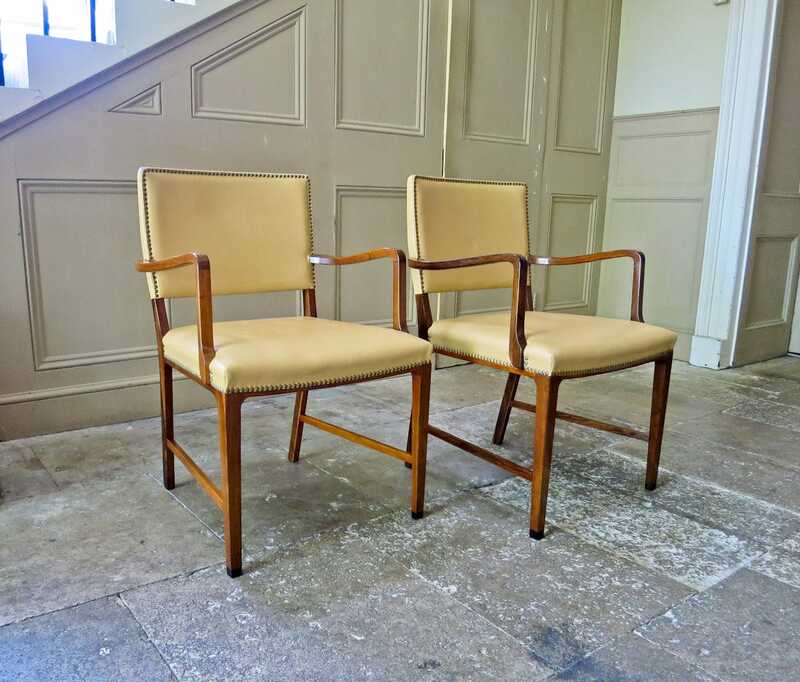 They are very much in the style of Danish designer Jacob Kjaer, displaying the same level of craftsmanship and skill you would associate with him.